February 1, Waterloo Green. The annual Summer on the Green kicked off 40th anniversary celebrations for Counterpoint Community Services’ Factory Community Centre. 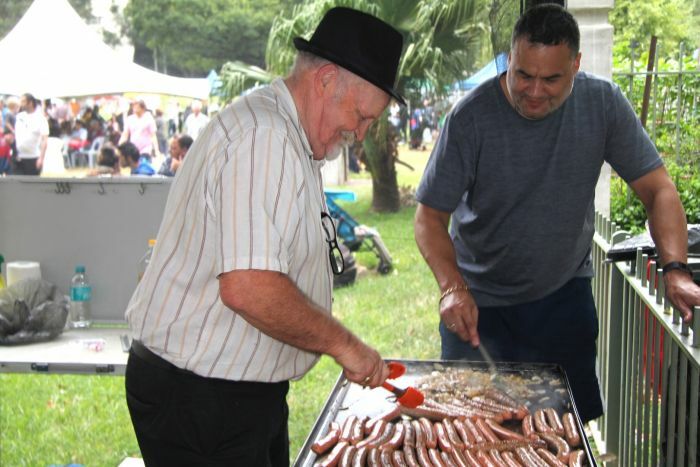 The Factory and South Sydney Community Aid (now Counterpoint Multicultural) which notched up 50 years of service to the local community last year, merged in 2017. The local Chinese Dance Troupe and Mandarin Opera entertained. Information stalls representing community groups, including Waterloo Residents Community Gardens and Milk Crate Theatre, NGOs Shelter NSW and Mission Australia, and government agencies were present. Despite the drizzling rain people enjoyed the afternoon. Children played on the giant waterslide and some cuddled baby farm animals or ventured to the reptile tent to pat the young crocodile.